Hyundai i20 Performance, Engine, Ride, Handling | What Car? 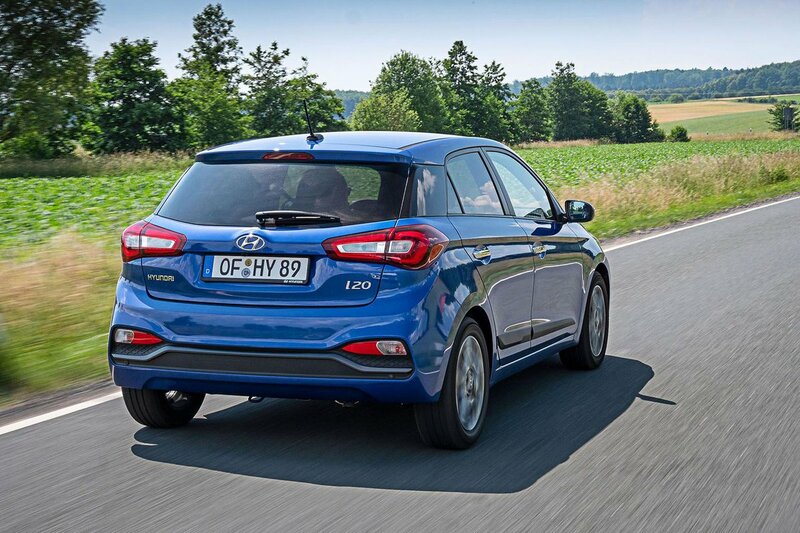 Diesel engines are no longer available in the i20, with Hyundai saying there isn’t the demand for them. As a result, there are four petrol options to choose from – a 1.2-litre unit with 74bhp or 83bhp, and a three-cylinder 1.0-litre turbocharged engine with 99bhp or 118bhp. A five-speed manual is standard on all apart from the 118bhp unit, which gets a six-speed manual. A new seven-speed automatic gearbox is available as an option in the 99bhp engine. The optional automatic gearbox is slower than the five-speed manual, with the former recording a 0-62mph sprint that’s almost half a second slower. None of the engines feels particularly sprightly. The higher-powered 1.2 needs working hard even around town, while out on faster roads it feels underpowered. The 1.0 turbo engine is certainly the best performer in the range. Whether it’s in 99bhp or 118bhp form, it copes easily around town and can handle longer motorway journeys, although if pace is your main concern the higher-powered version offers noticeably perkier acceleration. That said, both options offer quite a narrow power band; while there isn’t much pulling power available at all below 2000rpm, by the time you’re beyond 3500rpm the car feels out of puff. These engines don’t come close to the kind of impressive, flexible performance offered by Ford’s Ecoboost units or equivalent Volkswagen engines. 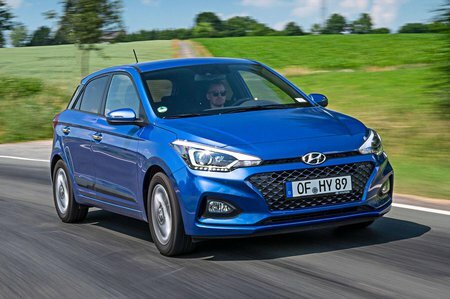 The i20 copes well with speed bumps and long undulations, but it doesn’t quite deal with patched-up surfaces and sharp-edged potholes with the same level of comfort and ease that its rivals can. It ends up feeling choppier than ideal and easily unsettled, particularly around town, although it rides smoothly on the motorway. There is only the one suspension set-up, so you’ll have the same acceptable but often fidgety ride regardless of spec and model. 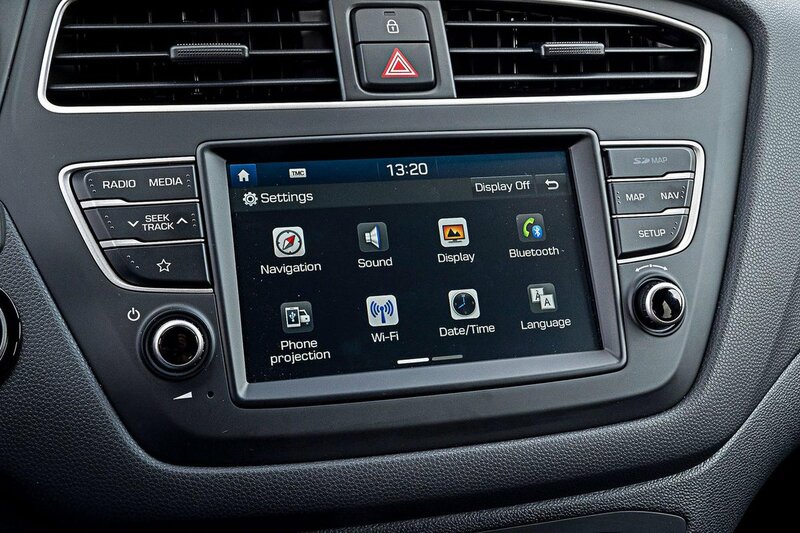 The i20’s steering is quite numb and slow to respond, making it difficult to gauge the effects of your steering inputs. This is annoying both when driving quickly and at parking speeds. Still, the car is generally stable and grippy even through faster bends, and while there is quite a bit of body lean through fast corners, as well as body float over faster crests, it’s progressive enough that it’s unlikely to make your passengers feel sick. Overall, the i20 feels easy to drive, so buyers who simply want something that’s manoeuvrable around town and composed elsewhere won’t be disappointed. Just be aware that alternatives such as the Ford Fiesta and Seat Ibiza are more enjoyable and confidence-inspiring both in town and on the open road. At low speeds, the higher-powered 1.2 engine is smooth and impressively quiet, but rev it hard (which you’ll need to) and it becomes coarse and intrusive. The 1.0 unit sends a bit more vibration through the pedals than the 1.2, and you’re aware of the low engine thrum most of the time, but because of the additional power it has you won’t be thrashing it quite so hard. It’s not an unpleasant-sounding engine, and it’s quiet enough most of the time, but if you are really pushing it hard, the engine note can become grating – more so than in the Fiesta or Ibiza. There’s some noticeable wind and road noise at motorway speeds, but no more than is normal for this class of car, and the manual gearboxes are pretty slick. The manual gearboxes are rather vague, so quick, slick shifts are difficult to manage, certainly compared with those in rivals such as the Fiesta and Ibiza. The automatic, meanwhile, actually does a pretty good job of keeping shifts quick without causing big judders or lurches; but because it’s more expensive and slower, we’d stick with a manual.